For more than 40 years Regupol’s high-quality Regupol® Safety Elements and Flooring have been providing optimal protection from ricochet, rebounds and bullet fragmentations. Regupol’s universal and complete solutions are available for all danger areas in shooting ranges, such as floors, walls or bullet traps. Together with reliable partners Regupol will work out the perfect solution for your shooting range – individually tailored to the respective conditions. The Marathon Targets system drives soldiers to become pre-combat veterans by rapidly developing skills in combat marksmanship. Traditional fixed, pop-up, or rail mounted target systems lack the realism of human like behaviours, and often only present a front facing profile that tracks sideways. In these conditions soldiers do not effectively develop the realistic marksmanship skills required to engage moving targets. The MED Target Lifter is a hydraulic or electric target lifter used for lifting Kongsberg targets or similar targets. It can be installed below ground level in a concrete ditch, in a container or similar. It consists of one or more separate hydraulic/electronic hoists each mounted with a horizontal beam that hold up to 6 targets. The MED Bullet Catcher is a customized rubber granulate bullet catcher for indoor use. It is designed to meet all customer requirements and national safety regulations and laws. Depending on requirements and surroundings, it can be designed to “catch” up to cal. 50 ammunition. 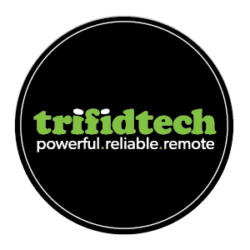 Trifidtech builds heavy-duty NiCd battery chargers with unique remote charging capability. We manufacture and customize our chargers in Canada for military and commercial applications including aircraft engine backup, vehicle starting, and powering electronic equipment. Keeping your batteries charged and ready is imperative. Trididtech`s NiCd chargers are built to minimize battery stress and charging downtime. With our innovative technology, you can now charge your NiCd batteries over any network, from anywhere in the world.